There are many things to love about Cala, Gabriela Cámara’s restaurant in Hayes Valley, San Francisco. They include: trout tostadas, perfectly pickled onions and chilies, an incredible selection of mezcal, the fact the restaurant goes out of its way to employ formerly incarcerated individuals who are rebuilding their lives, and the energy and vision Cámara’ herself brings to every detail. One of those beloved details is the Oaxacan, hand-built, custom, ceramic light fixtures that radiate pebbles of light throughout the space. Recently Cala hosted an event to bring awareness to ceramic artisans and craft-women of Oaxaca, Mexico. The event aimed to share their knowledge and talent and ask the community to support the vital expression of culture. Designers and community activists, Collectivo 1050 shared their insights from working with the women throughout Oaxaca and their experience with a rich history of ceramics. 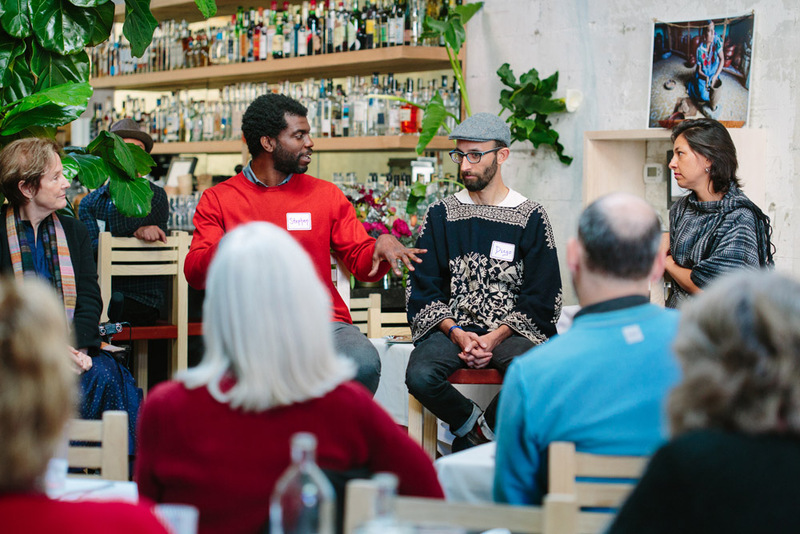 Gabriela Cámara’, Alice Waters, and Steven Satterfield were invited to talk about their experience with food culture, craft, and holding strong to values that may seem in peril. Cámara’ spoke about growing up in Mexico City and remembering the effects of the devastating earthquake in 1985. With physical ruin, infrastructure collapse and tragedy, it could have been remembered as bleak time. Instead she recalled, in the wake of the disaster, the ways the shortcomings of an authoritarian government gave rise to a new community activism, progress and even political revolution. With the destruction, came a sense that anything was possible. It was from this place, she talked about standing up for what is right, and holding on to the light especially in dark times. 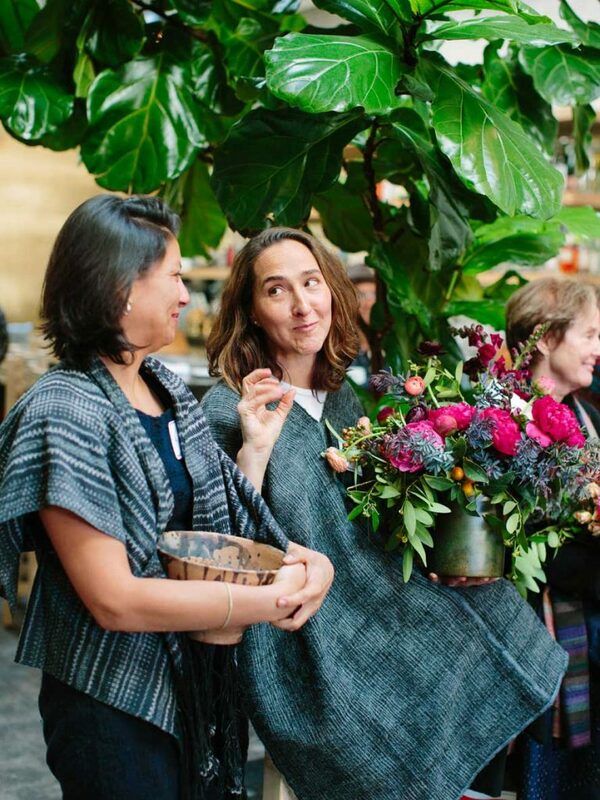 I was honored to be able to provide flowers to both Alice Waters and Gabriela Cámara’ as part of the event that day. 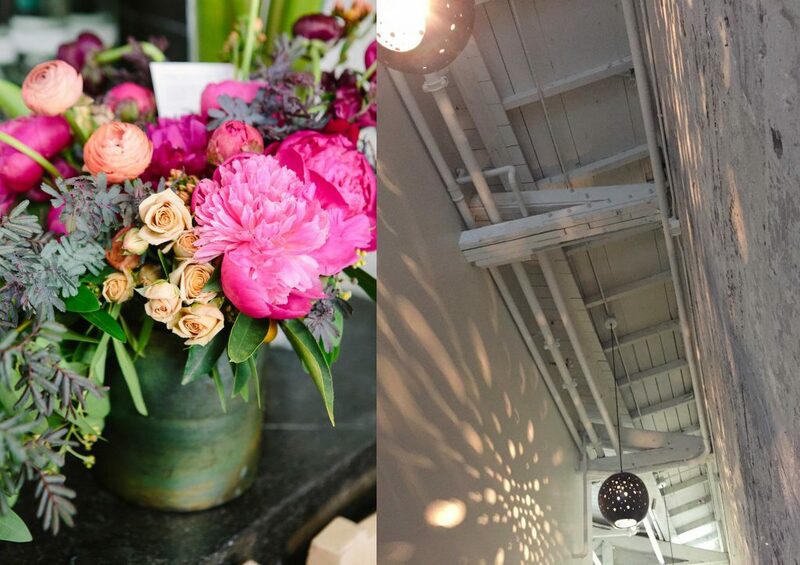 I created for them a mix of the most radiant blooms even during a dark winter. Each time I have the opportunity to visit Cala, I’m inspired by those lights.